A brief example flight is laid out below to aid with the comprehension of Oceanic procedures from the pilot's seat. We also have an Oceanic planning chart (© www.planningcharts.de) with sample information for crossing the North Atlantic. Pilot training sessions are available after a registration into the IVAO UK Training System. For further details have a look here. 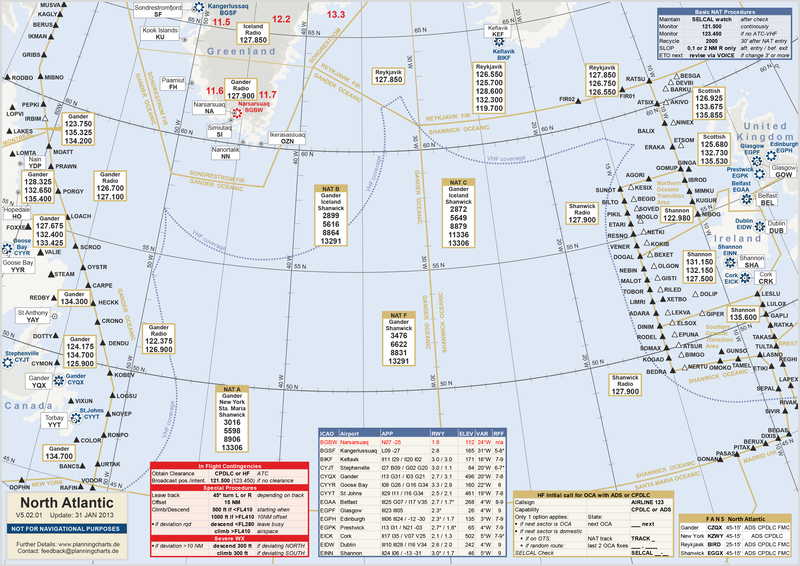 These step by step instructions will show you how to file an oceanic flight plan correctly, using the example flight of BAW188 from Newark Liberty International Airport (KEWR) to London Heathrow (EGLL). Pay attention: The times you report to oceanic ATC have to be in actual UTC time!